A new species of spider has been discovered and was announced to the public at the World Science Festival in Australia. AUSTRALIA (CBS 8) - A new species of spider has been discovered and was announced to the public at the World Science Festival in Australia. 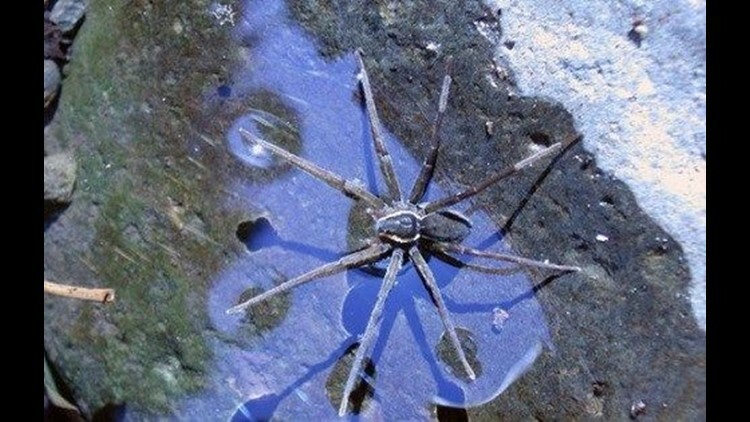 The spider, “Dolomedes Briangreeni” preys on fish three times its own size and can also swim. It uses tiny vibrations on the water’s surface to find its prey, while it breathes under water. The spider was named for the founder of the World Science Festival, Brian Greene. “These guys are fantastic because they sit on the edge of the water with six of their eight legs out waiting for the water to tremble,” one doctor told the Brisbane Times.